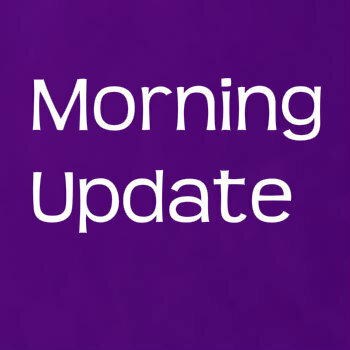 Morning update 12.10.15: Can Dan Thomas make the London Assembly more interesting? ONCE again, the Barnet and Camden London Assembly election risks feeling more rooted in Barnet than Camden after the Conservatives chose Dan Thomas, the deputy leader of Barnet Council, as their candidate yesterday. He will stand against Labour’s Andrew Dismore, who defeated Brian Coleman in 2012 but whose most recent outing at the polls was a general election loss in Hendon. Thomas won a landslide first round of voting at a selection meeting with the rough numbers reportedly working out as 115 for him, 26 for fellow Barnet councillor Dean Cohen and 15 or so for Tim Barnes, the choice from the Camden side of the two borough constituency. The relentless newsreel of the Barnet Bugle had reported that Cohen, late in the day, had won mayoral candidate Zac Goldsmith’s endorsement, which now seems a slightly awkward 11th hour intervention given he will be working with Thomas instead. As we’ve said on these pages before, the Conservatives do not feel this constituency is a dead rubber at all, and are enthused at resetting the scores without Brian Coleman’s more controversial statements to defend and look forward to testing the enthusiasm for Jeremy Corbyn’s new look Labour Party. He’s right. In private at least, most people involved in London’s local politics will give you a pretty sad view of why being an assembly member hasn’t interested them at all. They describe a chamber at the heel of the mayor’s ultimate power. During Boris Johnson’s years, the opposition assembly members have hardly landed a blow. Try as they might, they’ve never really made him blush with embarrassment. He’s fidgeted awkwardly at a few questions, but in reality he’s just done what he’s wanted. It’s surely now up to those who win next May, across the city and whatever the colour of their rosette, to go in there and demand some reforms. IT was bad enough for today’s young folk when their parents took over Facebook, spying on every night out and crude joke. Now, the growns are following their kids on Twitter. Take Islington South MP Emily Thornberry who couldn’t send her son Felix off on a two-year expedition to Rwanda without tweeting a picture of him at the airport with his luggage. By @ing him into her timeline, perhaps one of the MP accounts most keenly followed after you know what in Rochester, she almost invites the more unsympathetic quarters of Fleet Street to ruffle through his past tweets. And it only takes a quick glance to see Felix may welcome two years away from the United Kingdom, possibly in the hope that this curious business with Jeremy Corbyn will all be over by his return. For while Emily was being warm about Jeremy at the recent Labour Party conference, leading the congratulatory tea party after his main stage speech, @FelixN1 had been perforated his social media output this summer with the use of hashtags like #BringBackBlair, retweets of Alastair Campbell and Dan Hodges and highlighting the lack of women in Corbyn’s top team. IT remains a source of huge irritation that we did not get to the motion about thanking the Queen for her service at last month’s full council meeting. If we had, we’d really have known our royalists from our republicans at Camden Town Hall, and possibly have got a Braveheart speech from Kilburn councillor Douglas Beattie. Sometimes it’s hard to tell; you find the cynics suddenly belting out the national anthem at the football or loosening their guard when a royal rolls into town to visit a community centre in their neighbourhood. What of former Labour mayor Ken Livingstone, for instance, whose anti-monarchy comments were confused by his head-bowing in front of the Queen at least one reception. His deputy at the GLC, Illtyd Harrington, the CNJ columnist who died earlier this month, once picked up on this apparent hypocrisy and challenged him on it. “What could I do, Illt? I didn’t know she was so short,” replied Livingstone. IN case you missed it, and hopefully you all did, Eternal Glory was the recent ITV nonsense in which athletes of the past, and Matthew Le Tissier, competed in Gladiators-lite challenges to see who was still an absolute bloody legend. The TV critics savaged it, but what’s it got to do with the Town Hall? Garry Bushell of the Daily Star Sunday wrote this weekend: “Eternal could have been ITV’s answer to Superstars. Instead, we got ageing athletes balancing on one foot and games sabotaged to stop the best contenders winning – like a school sports day run by Camden Council.” Whatever that means. FORMER Islington Council Tracey Ismail reveals how singer Terence Trent D’Arby’s career could have taken a different path. It’s a soulful among the fries, Seal also worked in the Kentish Town McDonald’s. 1 Comment on Morning update 12.10.15: Can Dan Thomas make the London Assembly more interesting? Can the Conservatives win here with no social housing policy? (Or worse, an anti-social housing policy). That’s the biggie.